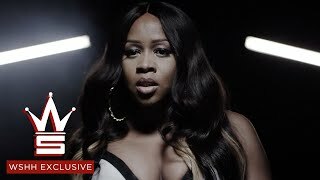 Hard-hitting Bronx rapper Remy Ma (born Reminisce Smith) spent much of her youth writing and performing both rhymes and poetry. In 1999, she caught the attention of rapper Big Pun, who soon became Remy's mentor and invited her into his crew, Terror Squad. After Pun's death in 2000, the young MC signed to Universal Records. She first broke onto the mainstream hip-hop scene with her appearance in M.O.P. 's "Ante Up Remix" in 2003, and followed that up the next year with a role in Terror Squad's hit "Lean Back." 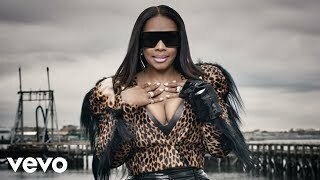 In 2006, Remy released her debut solo album, There's Something About Remy: Based on a True Story, which featured an unreleased Big Pun verse in "Thug Luv" and boasted the singles "Whateva" and "Conceited (There's Something About Remy)." After being convicted for assault in 2008, she served six years of an eight-year sentence. She was released in 2014 and immediately began recording new music. A collaboration with DJ Khaled, "They Don't Love You No More" arrived mere days after her return home. She self-released the I'm Around album the same year, with a second LP, Remy on the Rocks, arriving in 2015. That same year, the stand-alone single "Hands Down," featuring Rick Ross and Yo Gotti, was also issued. Two hit singles, both collaborations with Fat Joe and French Montana, were released in 2016. The Grammy-nominated "All the Way Up" with Infrared was accompanied by a number of remixes, which included appearances by David Guetta, Jay-Z, The Game, Snoop Dogg, and E-40. "Cookin" featured Fat Joe's son, Ry So Valid. These tracks would appear on Remy and Joe's joint album, Plata o Plomo, which arrived in early 2017.